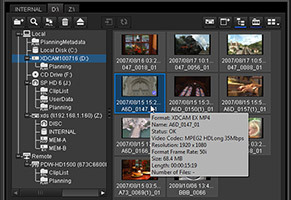 Content Browser is an all-in-one clip management application that can be used with the latest portfolio of Sony camcorders and decks, such as XDCAM, XDCAM EX, NXCAM and PMW-F5/F55. 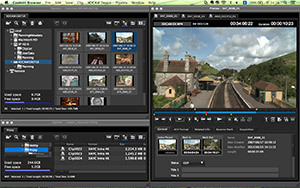 Catalyst Browse software is now available. 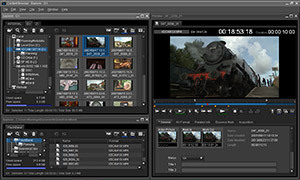 This free software handles many of the functions of Content Browser and more. A serial number is required to install this application. (A 30 day free trial is available.) You can use the one provided in your camcorder/deck product package. If you need additional serial numbers, please purchase a serial number here. Please note that a small fee is required to offset the codec license fees such as MPEG LA. If you have a previous serial number from XDCAM Advanced Pack or NXCAM Activation Pack, that can also be used for the installation. To download Content Browser Version 1.1 (with no serial number required), please visit here.